Should Erin Hills Get Another U.S. Open? If I had to vote, the answer would be a reluctant no. While the B grade given on Morning Drive to Erin Hills would be more than enough to get it another U.S. Open most years and certainly proved to be a much better venue than Whistling Straits, the next eight years of courses elevates the U.S. Open in ways that Erin Hills is unable to inspire. That said, a remote place with no business pulling off such an undertaking did so in fine fashion. A course that had undergone so much surgery was able to shine, with several strong holes and no silliness. The fans of Wisconsin are wonderful and I heard very little complaining about the lack of up-close viewing opportunities. They would have been within their right to complain. The conditioning and presentation of the course, outside of the over-stimulated natives immediately off the fairways, was excellent. Had the weather cooperated and the course remained dry all week--always an if this time of year--the width so many despised would have been necessary. A few other views on the topic, starting with Golf World's Jaime Diaz. It’s well positioned if the USGA is truly committed to moving the championship around the country. At the moment, there is a vacuum in the Midwest. Medinah and Olympia Fields in Chicago don’t inspire and former USGA mainstays Hazeltine and Oakland Hills have become more aligned with the PGA. 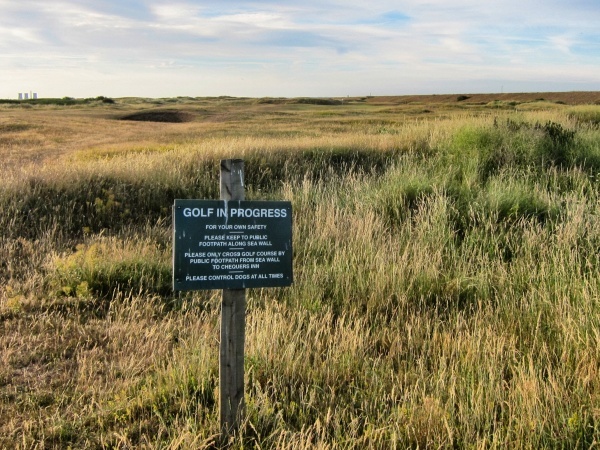 The same with Whistling Straits, which has had two PGA and is slated for another Ryder cup. And in an unofficial competition comparison with another minimalist style public course that is vying to be deemed a modern classic, Erin Hills has come off better than Chambers Bay near Seattle. Erin Hills, with sheer bigness that requires less retrofitting for distance than older courses, and a brawn accented by humpy land and jagged bunkers that can make for exciting golf, offers a welcome but only occasional – maybe once every 20 years - change of pace from the traditional Golden Age classics. Gerry Dulac of the Pittsburgh Post-Gazette isn't a fan of the public course experiment. If it were up to me and not Mike Davis and the USGA, I’d play every U.S. Open on the great, traditional, classic and iconic courses in our country, not these pop-up daily-fee facilities designed to bring the national championship to the public golfer, which, to me, is like playing the Super Bowl at Cupples Stadium on the South Side. Bamberger: Good for them. Not for us. The USGA wants to preach a message of playability. This course was too easy for the elites. And unplayable for 90-shooters, from any tee. Some of the greens are nutty. The place is beautiful, though. Spectacular. I'd love to play holes on the driving range all through a long dusk. Teddy Greenstein thinks the course deserves another shot but wonders if there is competition from a nearby state. Insiders predict Oakland Hills’ South Course, a Donald Ross design near Detroit that has hosted six U.S. Opens, will get the call in 2027. Erin Hills should return soon after as another anchor of the Midwest. USGA executives love that owner Andy Ziegler was willing to close Erin Hills to public play in October, taking a financial hit with the payoff of perfect conditioning. Todd Milles of the Tacoma News Tribune wonders if Erin Hills will join (maybe) Chambers Bay in the every 20-year category. 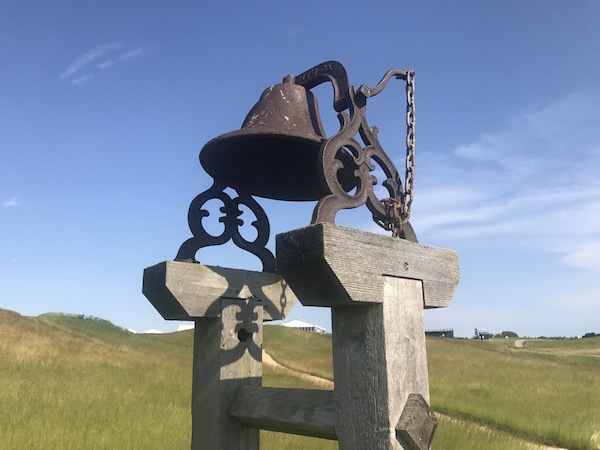 Unless something unforeseen happens, Erin Hills has made such a favorable impression this week that it would be hard not to see it emerge as the USGA’s go-to venue in the Midwest for the foreseeable future. Carlos Monarrez says he doesn't know for certain, but from speaking to folks at the U.S. Amateur last week, he's confident "that our national championship will return to Oakland Hills for the first time since 1996." The U.S. Amateur looked spectacular on TV if crowd size and conditioning were a barometer. However with 2027 the earliest open date and the club having vetoed a restoration plan that would have bolstered its chances, a U.S. Women's Open or a PGA seems more likely. Last month, Juett said the club had extended an invitation to the USGA to host its seventh U.S. Open. During the tournament, Juett and club leaders met with USGA executives to further that process, which included strengthening those relationships. And it yielded something else: an understanding that Oakland Hills would love to host another USGA championship while it waits for a U.S. Open. This brings me to my next prediction. Oakland Hills also will host a U.S. Women’s Open. The next available date is 2022, and it makes perfect sense. 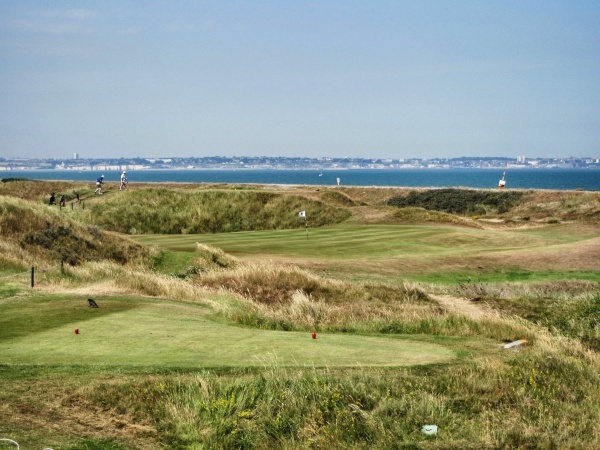 Two things are worth noting in this news: another historic venue will now have hosted both the men and the women's national Open championship, adding to the club's legacy and also enhancing the stature of this event. Webb Simpson's 2012 win will be a faint memory the next time Olympic Club hosts a men's U.S. Open, with the USGA committed through 2024 and likely knowing where the event is headed in 2025 and 2026. 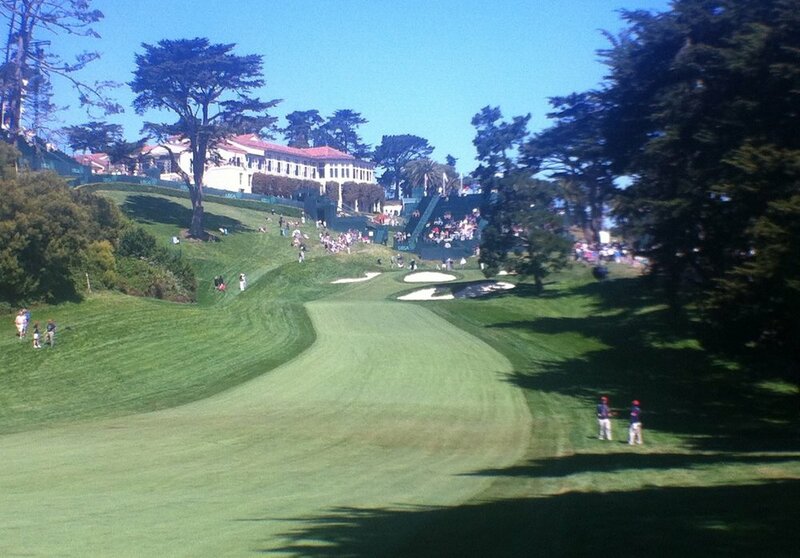 FAR HILLS, N.J. (Feb. 6, 2016) – The United States Golf Association (USGA) has selected The Olympic Club, in San Francisco, Calif., as the host site of the 76th U.S. Women’s Open in 2021. The championship, considered the world’s premier women’s golf event, will be held June 3-6. **Ron Kroichick on this news lining Olympic Club up for the USGA's next west coast U.S. Open. Olympic should land the next Open on the West Coast after that, possibly in 2026 or ’27. Chambers Bay, a public course outside Tacoma and host of last year’s Open, also is a candidate to repeat as host. Brian Keogh reports and posts a letter that went out to Royal Portrush members assuaging concerns about a possible Open Championship (or more) by reminding them that they will get to vote before the R&A is told it's a go. The R&A has scheduled a news conference Monday to announce a future Open Championship without committing to a date. And considering the absolutely perfect record of club membership votes, why not! What could possibly go wrong, especially as they have to build two no Martin Hawtree holes to permanently shove aside two H.S. 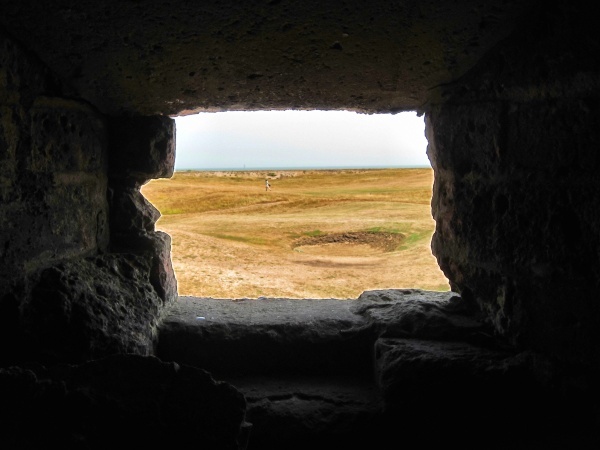 Colt holes, including one with an iconic bunker? Who wouldn't vote for that? In theory, they could indeed say, 'Thanks, but no thanks' to two proposed new holes and other changes required for a potential 2019 staging. NY Daily News: "What a deal Trump and Bloomberg negotiated." Royal Portrush Open Talks "Well Past The Early Stages"
"The USGA’s slow play on both venues has prompted the PGA of America to be a bit more proactive." Rex Hoggard as a solid wrap-up of the week's various stories--Bethpage, PGA Tour taking over the European Tour and of course, the big one, the elimination of caddie races. I'll let you take in his analysis of the others, but there was this note on the "baffling" decision by the USGA to abandon Bethpage and Torrey Pines. The 2008 Open at Torrey Pines may arguably be this generation’s best major, and Bethpage, although soaked for both Opens it hosted, is a perfect combination of qualify golf and prime location. The USGA’s slow play on both venues has prompted the PGA of America to be a bit more proactive. Golfweek magazine reported this week that the PGA plans to name Bethpage the venue for the 2024 Ryder Cup and 2019 PGA Championship; and sources have told Cut Line that the association is vying to bring the year’s fourth major to Torrey Pines. While the PGA deserves credit for outside-the-box thinking, may we suggest they hold off on any official announcement until, say ... next year’s U.S. Open. You know, for maximum coverage and all. My sources say the USGA is interested in Torrey again and that the San Diego people have demanded a Ryder Cup with any PGA they take, something that is hard to see happening because Europeans would have to watch afternoon matches in the middle of the night. Or maybe any move to Torrey is stalled because of the San Diego mayoral situation. After watching the morning coverage of the Solheim Cup, I'm wondering when the PGA of America jumps on Colorado Golf Club for a PGA. Wow does it look great this time of year and the crowds seem huge. With Merion's U.S. Open success folks have wondered about other supposedly past-their-prime venues and Dave Hackenburg makes a case for his home state's once regular member of the major championship rotation: Inverness. The Inverness property totals about 300 acres, according to chief operating officer Eric Rhodes. That doesn't include considerable acreage owned by Health Care REIT across Dorr Street that has been made available to the club for past major championships, or some city-owned land to the west that could be used. ''We might be the only tournament club in the country that is capable of parking every car on site," Rhodes said. Meanwhile, the golf course is about to get even better. Inverness is going to close its course for the year in August to regrass all greens and many fairways, renovate all those bunkers that were not dealt with before the 2011 Senior Open and to reconfigure the Nos. 1 and 10 tees in a manner that could lengthen and considerably toughen those holes. It was from The Sun, and not posted online, from The Irish Sun, but the denial from both the R&A and the club was pretty strong. From a BBC report, the denial from the club. And from Sky, the R&A's shootdown. The R&A is expected to announce a 2018 Open Championship host soon. 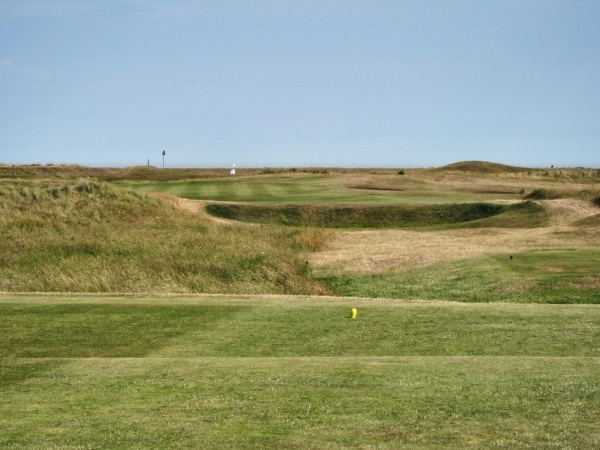 Their Amateur is being played at Royal Cinque Ports next week to ensure no one sees the best option for a future Open in Deal. The PGA of America says Crooked Stick doesn't have the space to host the 2019 PGA, but the PGA Tour holds options to go there with Playoff(C) events in '16 and/or '18, reports Phil Richards. And before you flyover staters get all pithy in the comments, I have two words for you: Bellerive 2018. No one deserves that. No one! Ken MacLeod reports on where 2020 U.S. Open hopeful Southern Hills goes from here now that Winged Foot landed the national championship. "It was disappointing," said Southern Hills General Manager Nick Sidorkis. "We knew it was coming down to us and Winged Foot. "They are two great courses with great tradition. Obviously Tulsa is not the same as New York when it comes to corporate hospitality potential, but we know that we can hold a successful championship." Sidorakis said Southern Hills remains committed to the pursuit of another U.S. Open Championship and is hopeful about 2021 or 2022. He said the club would not give up and pursue other majors or tournaments unless told by the USGA that it was not interested, which has not happened. PGA CEO Says West Coast Venue "A Top Priority"
Adam Schupak files a couple of stories on new PGA of America CEO Pete Bevacqua. Butler National Member After Members Vote To Keep Women-Americans Out: "We're in a death spiral." Teddy Greenstein on the membership at Butlern National voting to keep it a male only club, essentially eliminating the Chicago layout from any consideration for major tournaments. The Indianapolis Star's Phil Richards with the exclusive on the recent BMW Championship host site Crooked Stick, reportedly making an "a formal presentation was made to PGA of America CEO Joe Steranka and managing director of championships Kerry Haigh on Aug. 30 and the BMW Championship served as a proving grounds of sorts."